On the days 27th and 28th November, 2018 took place the 12th month General Assembly meeting of DRIvE, hosted by Typhoon HIL in Novi Sad, Serbia. The Consortium had two days of meetings: the first day was dedicated to the presentations of the work packages of the project, discussing the progress and objectives of the work; and the second day was dedicated to technical discussions. 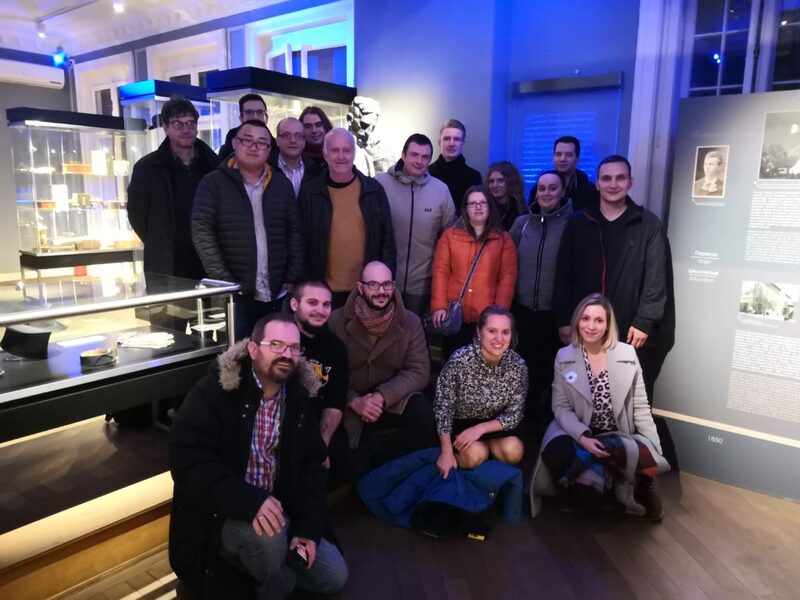 On Tuesday our host Typhoon HIL treated the Consortium to a visit of the Tesla Museum, in Belgrade, and a traditional dinner at the Bohemian Quarter Skadarlija. On Wednesday the Consortium visited the installations of Typhoon HIL. In there the partners had a first-hand view of the high-fidelity, real-time model that Typhoon HIL created of the Giessenwind test site (which will be used in DRIvE). The model can be better defined as a “digital twin”, in the sense that it is a mathematical model whose behavior fully corresponds to the actual assets (three wind turbines rated 3MW each and a 1MW battery storage system). This model, or digital twin, of the Giessenwind site was running on two Typhoon HIL’s FPGA real-time emulators with a timestep of 10 microseconds. The model was controlled from a SCADA system which was sending MODBUS messages to the Giessenwind battery storage. 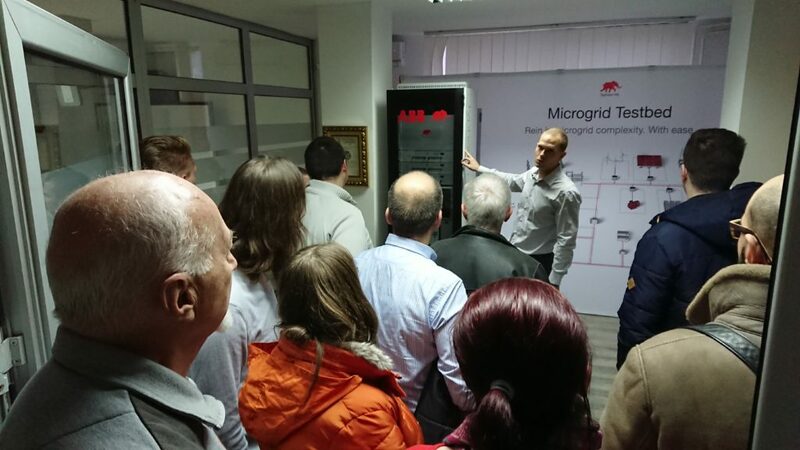 This SCADA system represented the yet-to-be-developed DRIvE local energy gateway (LEG) and the MODBUS messages were the identical ones which can be used to control the battery installed at the Giessenwind site (i.e. the control messages used the same MODBUS registers). Moreover, the control messages which were sent to the real-time model corresponded to a possible demand-response (DR) use case, where DR assets are used to provide ancillary services to the DSO, TSO or BRP. The demo showed the test automation capabilities of the Typhoon HIL’s testbed, and the partners gained a better understanding of how Typhoon HIL API can be used to control the simulation and feed the simulation with pre-recorded data (e.g. windspeed) for testing, validation and demonstration purposes. During the project, three additional models of other test sites will be created and a full-scale FPGA-powered emulation testbed will be built, which will together be used for hybrid, cyber-physical testing and validation of the DRIvE system.